Fits 66-77 Ford Broncos. This power steering kit is designed to replace your factory manual steering assembly. 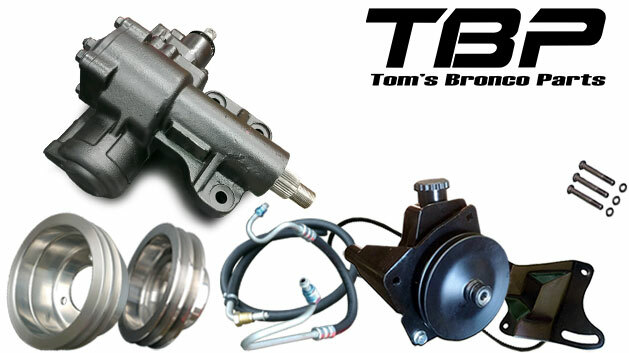 Includes all parts needed for a bolt in assembly with our Tilt Steering Column Kit.